It’s a stark reality of today’s society: immediate danger can strike at any time. Women are forced to deal with these scenarios at an even greater frequency. Whether it’s leaving work late at night, riding in an Uber, or simply turning the wrong corner at the wrong time, “expecting the unexpected” is the way of the world in 2019. But doing so is easier said than done. Nobody wants to live a life of constant worry – and being on high alert during every waking moment of the day simply isn’t feasible for most people. This inability to significantly depart from normal day-to-day behavior creates just the situations that criminals look for. Nobody wants to be in a situation where they’re forced to call for help; but if the innovators at Rizlet have anything to say about it, preparation will never again be an issue. 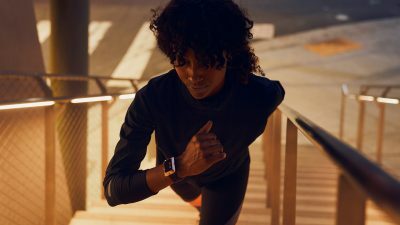 Designed for women, by women, their new smartwatch combines everyday style and design top FBI-backed safety features. The Rizlet watch helps deter would-be attackers with things like a panic button, silent alarm, flashlight, strobe light, and more. With just the tap of a button, it will also immediately call 911 and route your predicament to the Emergency Communication Center in closest vicinity. If the wearer is unable to answer the 911 call, it will be automatically redirected to the emergency contacts on their list based on priority, which is preset during app setup. No stone is left unturned when it comes to safety. Furthermore, thanks to a uniquely sleek design, women don’t have to interrupt their way of life to receive this protection. The watch’s face mimics the shape of a diamond to suit anyone’s lifestyle – and is accompanied by an interchangeable strap that suits any casual or dressy look. Founder Kanthi Yalamanchili started designing the Rizlet watch back in 2016, and has since amassed a Facebook following of over 2,100. 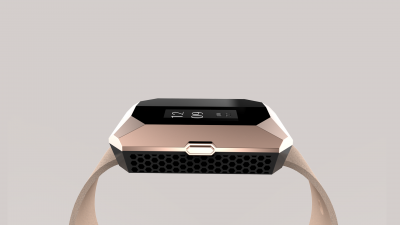 The company also recently launched a Kickstarter campaign that obtained 20% funding in the first week alone. Rizlet is now putting finishing touches on the watch in preparation for mass market release this spring. Going forward, Yalamanchili plans to continue improving upon its design and smart 911 capability during future releases. You can learn more about this groundbreaking wearable device and even contribute by visiting their Kickstarter page, or visit their website at www.rizlet.com. The Founder can also be reached via email at kanthi@rizlet.com.